When amateur sailor, Donald Crowhurst (Colin Firth), enters the 1968 Sunday Times Golden Globe Race in the hope of becoming the first person to single-handedly circumnavigate the globe without stopping, he has no idea of the challenges that lie ahead. Leaving his wife, Clare (Rachel Weisz), and his children behind, Crowhurst sets out on his epic and dangerous solo voyage aboard an unfinished boat, knowing that he could lose everything if he fails. Some real life stories have an enduring appeal. They inspire countless books and magazine articles, documentaries and dramas. The life of Donald Crowhurst is certainly one of those stories. It was crucial, therefore, for director James Marsh to bring something new to his telling of Crowhurst’s ill-fated voyage. Thankfully, the director does just that by creating (via a script from Scott Z. Burns) a nuanced and non-judgemental film that allows us to feel compassion for both Donald and Clare Crowhurst. The Mercy starts by showing us a happy family (mother, father and their three children… more of which later) living in an idyllic location - the coastal town of Teignmouth, Devon. As a result, despite Colin Firth’s charming performance, Donald’s choices feel frustratingly selfish. Why would he want to risk his life and endanger the wellbeing of his family? We understand the gravity of Donald’s decision by watching Clare. 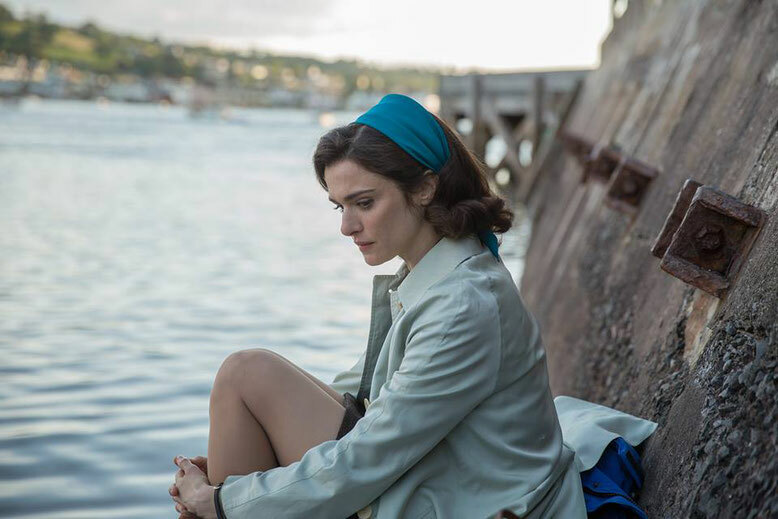 Superbly portrayed by Rachel Weisz, Clare is, on the surface at least, stoically supportive of her husband. However, terror lurks beneath - particularly when she realises that, against all the odds, Donald is actually going to leave. From there, The Mercy becomes a moving story about the consequences of our choices. Where once we felt irritation, thanks to the commitment and power of Firth’s performance, we soon feel sympathy for Donald. He is utterly alone facing a seemingly impossible situation. If we have not sailed a mile in his shoes, how can we judge him? As well as being a gripping real life drama, The Mercy is also a fascinating exploration of isolation. Colin Firth’s portrayal of Donald’s time at sea is utterly and heartbreakingly convincing. “In our portrayal, he becomes primitive essentially,” explains Marsh. “He’s stripped of civilisation and becomes much more elemental and that’s shown in his physicality, he loses weight, doesn’t wear as many clothes and starts to look like a vagabond on the boat. The mental journey is much more interesting than the physicality and we just had to bring that to the character”. We watch as Donald’s mental and physical health slowly deteriorates. Cut off from his friends and family, he starts to lose his grip on reality. Meanwhile, struggling to cope with the increasingly intrusive media interest, Clare becomes desperate for her husband’s safe return. You would be forgiven, therefore, for thinking that The Mercy is a story of loss and failure. While these elements are present, Marsh’s film is also an incredible tale of innovation, self belief and endeavour. Amid the scandal and the mystery, it is easy to forget that Crowhurst designed and built his boat himself and stayed out in the ocean for almost seven months. The Mercy highlights both Donald’s achievements at sea and Clare’s strength at home. Filmmakers have a certain responsibility when depicting the events of a real-life story. According to reports (see Random Observations below), Donald Crowhurst’s family was not consulted during the making of The Mercy and had issues with some of James Marsh’s directorial choices (not least the fact that he removed one of Crowhurst’s children from the story). However, Marsh does not believe that there is any ‘definitive’ version of any true story. “That’s the great virtue of true stories, you can interpret them this way or that way, endlessly,” he says. 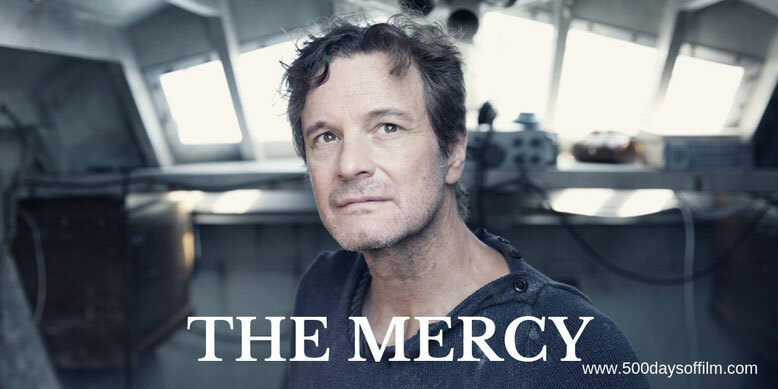 “[The Mercy] is a version of a story that we think has some truth to it. There’s no definitive version apart from the reality of what actually happened. You capture and distil it somehow into a dramatic form or a documentary form. “There is a duty to respect that character and to be sympathetic. Colin and I both respect that – we both really liked Crowhurst, we felt we knew enough about him to go on with this story and get to the truth of it. Colin plays him with such sympathy and such careful precise emotional progression, which is totally profound”. Colin Firth, meanwhile, finds the limitations of fictional filmmaking “troubling”. “You can’t scrupulously observe all the facts,” he explains. “You have to mess around with the chronology in order to distil it into its three acts. It’s frustrating for all of us but you are still trying to keep it as honest as possible. You hope that in taking a compassionate approach, we’ll end up telling the story in a way that engages people’s sympathy and understanding, even if it’s not claiming to be an exact account of what happened. “My hope is that if a film breaks through, it becomes part of a conversation that will lead people to want to look a little harder. There’s a documentary, there’s a book and there are different versions of all of this. Even journalism has to take an angle, however impartial it is. Even a photographer who’s taking a picture of an event has to stand somewhere. For an idea how Donald Crowhurst’s family reacted to The Mercy, read this powerful piece from The Guardian: 'The boat's been found and he's not on it': tragic sailor Donald Crowhurst's final voyage, by his son. Principal photography on The Mercy took place in the UK and Malta. Accomplished British boat builder, Jim Dines, created the replica Teignmouth Electron. After accessing the original drawings from a museum in the US, and as many photographic references he could find Dines came up with a drawing and boat design. The replica was fully functional and was built to sail. Have you watched The Mercy? If you have, what did you think of this film? Let me know in the comments section below or over on Twitter. You can find me @500DaysOfFilm.